Why Everyone Should Ditch Plastic Straws - Rebel Green: Eco-Friendly Products Responsibly Made in the U.S.A. If you haven’t heard, plastic straws are well on their way out the door, and not only in people’s homes. But why is this plastic straw prohibition suddenly such a big deal? Each day, Americans are estimated to consume up to 500 MILLION single-use plastic straws, averaging about 1.6 straws per person (source: EPA.gov). 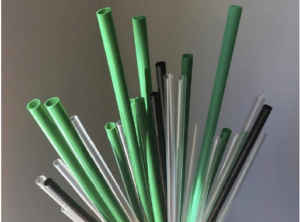 These straws will meet one of two possible fates, either finding their way to a landfill or ending up as litter, most frequently in our oceans. Each of these straws can take up to 500 years to biodegrade, and they have a huge effect on marine life. Recently, there has been an increased pushback against the use of plastic straws as more and more people become familiar with the consequences of this pollution. Additionally, many large companies, like Starbucks, for example, are joining the fight against plastic pollution and beginning to remove these straws from their stores worldwide. Using a straw might be a daily routine that is almost second nature to many of us – you might grab a straw when you’re out to lunch, or when you take your morning iced coffee to go. 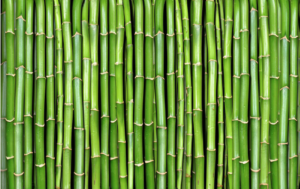 Luckily, there are various alternatives to using plastic, like Rebel Green’s paper and bamboo straws that we will be adding to our product line soon! Here’s why these environmentally friendly options are so important. While those straws of the plastic variety can take up to 500 years to break down, biodegradable paper and bamboo straws take as little as 180 DAYS. This means that they won’t be sticking around for sea turtles to choke on! Despite our best efforts to recycle plastic straws, most of them are too small and lightweight to be properly sorted into recycling, which is why many of them end up as garbage. Paper and bamboo straws, however, will decompose safely on their own, so we can avoid the struggle of figuring out how to properly dispose of them. Plastic straws are only the beginning when it comes to ending plastic pollution, but we have to start somewhere! By opting to use a biodegradable straw instead, you are helping lower the amount of plastic in the environment, 7.5% of which comes from plastic straws and coffee stirrers (The Washington Post). Visit www.strawlessocean.org for more information on the negative effects of plastic straw pollution. We hope you will join us in ditching plastic straws and taking a small step forward in ending plastic pollution!